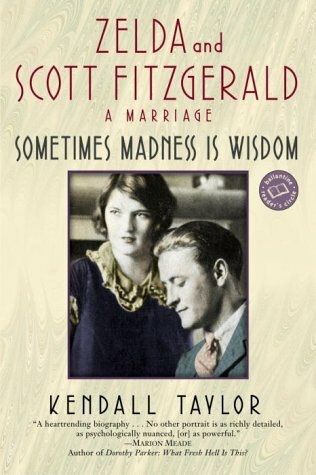 I recently finished reading Sometimes Madness is Wisdom: Zelda and Scott Fitzgerald – A Marriage. I highly recommend it, although it’s a harrowing book in so many ways. Two of those harrowing aspects are Scott’s alcoholism and how he deliberately and consciously broke Zelda, who had her own demons and a genetic predisposition toward mental illness, for good. A third harrowing aspect of this book is the barbaric state of psychiatry – diagnosis and treatment – in the 1930’s and 1940’s. 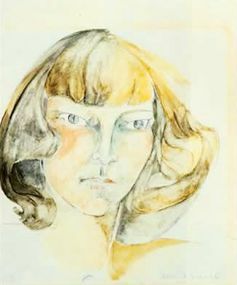 Zelda, who was diagnosed in 1930 with schizophrenia (most likely an inaccurate diagnosis, since it’s highly unusual for schizophrenic’s first symptoms to not appear during adolescence), was repeatedly subjected to three types of treatment routinely used for schizophrenia. Not only did they, in many ways, exacerbate Zelda’s mental illness as well as qualify for legalized torture, but two of them eventually caused irreversible neurological damage, including cognitive impairment and memory loss consistent with all forms of dementia. The first of these that Zelda endured over the course of 18 years was insulin coma therapy. Begun accidentally by Viennese physician Manfred Sakel, it involved giving large doses of insulin hourly daily for several weeks to keep the patients in a comatose state. It was believed that this gave the brain a chance to rest and heal itself. Of course, other than the obvious risks of not being able to bring patients out of the comas (happened regularly) or death (also happened regularly), the high doses of insulin produced a prolonged state of hypoglycemia, resulting in permanent neurological damage. The second treatment that Zelda was routinely given was chemically induced seizures. This treatment, based on very iffy logic at best, was pioneered by Hungarian pathologist Ladislas Joseph von Meduna. von Meduna made the unscientific leap with his observation that because people diagnosed with epilepsy rarely were diagnosed with schizophrenia. Therefore, he concluded that the epileptic seizures – and their aftereffects, which to von Meduna’s mind seemed to indicate blissful happiness – must be the reason for rare schizophrenic diagnoses. von Meduna then concluded that the seizures could cure schizophrenia. By the time Zelda was subjected to chemically induced seizures, the original substances used to induce seizures – strychnine, absinthe, caffeine, and camphor – had been abandoned in favor of the drug Metrazol. Given to schizophrenics in a regimen of 30-40 injections, with the injection rate of two to three times a week, the first injection produced such a powerful seizure within a minute of injection that torn muscles and fractured bones were not uncommon. Beyond the high physical risks of violent injury, Metrazol also caused permanent memory loss. Zelda died in a tragic fire at Highland Hospital, a psychiatric hospital, in Asheville, North Carolina in March of 1948, during the latest of on-and-off commitments to the facility she had from 1936 onward. However, in many ways, Zelda was gone years before the fire took her physical life. Zelda spent the last several years of her life devoid of memory, devoid of personality, and devoid of any sort of intellectual spark. Zelda’s physical appearance was so drastically changed that friends and acquaintances had a hard time recognizing her. Even in her hometown of Montgomery, Alabama, where she lived with her mother when she wasn’t at Highland Hospital, Zelda was unrecognizable to people who’d know her and her family all their lives. Zelda spent the majority of the daylight hours in Montgomery restlessly and aimlessly wandering around town in old, ragged, dirty clothes with no evidence of any care for personal grooming until her mother would find her and get her home before darkness fell. It was a sad end of days for Zelda Fitzgerald. You’re right, Judy. Having a family member is an alcoholic (with whom I’ve been living temporarily for much longer than I expected and for way too long for me) and seeing the same rage, manipulation, habitual lying, continuous jealousy, uncontrollable urge to control, and hell-hath-no-fury destructiveness that Scott bombarded Zelda with until he broke her, consciously and intentionally, this book hit me hard and hit really close to home for me. I was filled with sadness and overwhelming empathy for Zelda (even though she was certainly no angel herself, but she didn’t deserve that). I had a hard time just hating the behavior and not the man, but that’s our calling. Easier said than done. And then having the madness and the barbaric treatments which finished over the destruction of Zelda just made me want to cry. I don’t know that psychiatry and neurology is much further along now, except they use medications to destroy you in the end. Reminds me again that we need Christ to return and heal – physically, spiritually, mentally, and emotionally – us all and makes my daily prayers for that even more urgent.